We decided to browse through all the events over the past 12 months and here’s the list of 10 things we definitely won’t miss in 2014. Let us know what you think about them! 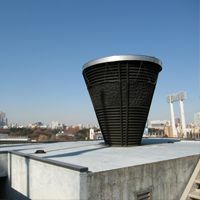 After numerous appeals Japanese authorities assured that the 1964 Olympic cauldron will be kept at the new stadium, planned ahead of the 2020 Games. Its story is a truly Olympic one. 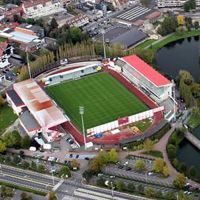 30.12.2013 Belgium: Zulte-Waregem stadium construction to Begin in September? Three new stands and renovation of the fourth one – that’s the plan for 2014 in Belgian town of Waregem. Financing hasn’t been completely secured so far, though. A lot of reading on the history of Poland and Germany: good times and bad times of three old stadiums. Fourth one was built in communist Poland and... seems to have stayed there in a way, unfortunately. The charmingly named ‘Field of Smile’ project is underway after years of preparations. 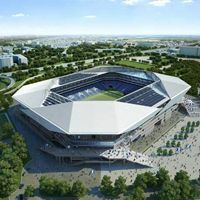 This uniquely financed stadium might turn Japanese football infrastructure round, but not all funding has been secured so far. 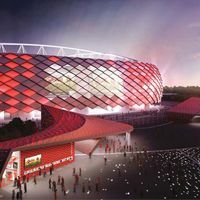 Not $340m, but $430m – this is the updated price tag on Otkritie Arena, the first modern stadium to open in Moscow since Lokomotiv changed venues in 2002. Work is on schedule and opening should take place in the summer of 2014. The contractor announced work is now complete on the new best stadium in United Arab Emirates. January will see a three-day family festival to celebrate the development. 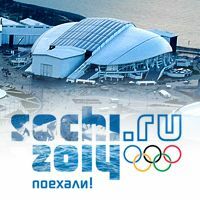 27.12.2013 Sochi: 42 days to go, stadium not ready? It hasn’t officially been delivered, nor has it been opened. 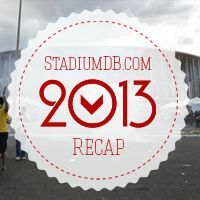 Even performers had to rehearse in a different venue as the central stadium’s price hyper-inflates and delays grow. Last week’s women’s game had only the lower tier of seating opened. That lower tier was left wet after rain poured on the stadium. Leaks in the cover are now to be removed by general contractors. 24.12.2013 Be merry this Christmas! It’s a scientific fact, that Christmas isn’t only a time of joy for Christians. So even if you don’t share the faith, we hope you’ll have a lot to be merry about this Christmas! It seems the eve of Christmas Eve is becoming Berlin’s showcase tradition as another attendance record was set yesterday at Union’s stadium. 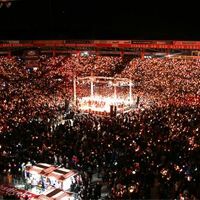 27,500 people gathered to sing in unison and enjoy the festive atmosphere. 23.12.2013 Serbia: Stadiums hide mass graves? With domestic football taking a break, the sports world in Serbia took a blast too. 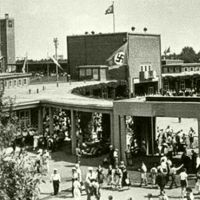 New information indicates that stadiums across the country may be hiding mass graves from after WWII. Partizan’s stadium was the first to be pointed at. 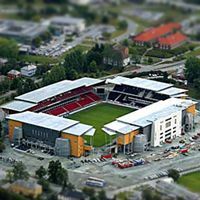 Hotel with some rooms overlooking the football field and an extensive conference centre attached to the main grandstand – these changes will be available already next season at Lerkendal. To match the new, higher standard, the main stand will also be renovated. At the same time several key elements are being delivered and in January the stadium will look finished. Over 90% of the structure and its facilities are done. Now it's time for the football field and seats. 22.12.2013 Zagreb: The Maksimir "hot potato" to finally be resolved? 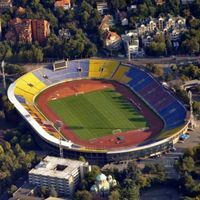 It's been over a decade since Zagreb authorities struggle with the dysfunctional Maksimir Stadion that was outdated the very moment it was finished in 1999. Now mayor Bandić announced it should be remodelled in 2015. But will it? 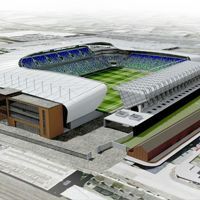 The plan to completely redevelop Northern Ireland's national stadium received the anticipated funding of £31 million. Two stands will be built from scratch and two will undergo thorough renovation works. All indications say that Bapoli will leave the place they called home for over half a century, Stadio San Paolo. The club needs a more sensible ground and the municipality suggests they've been working on the plan for some time already. 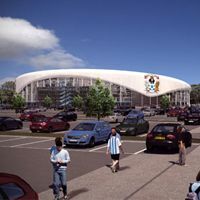 After leaving the municipal Ricoh Arena the owners of Coventry City FC have now shown how their future stadium would look like. More or less, perhaps even less. But that's still progress regarding the unstable situation in Coventry. 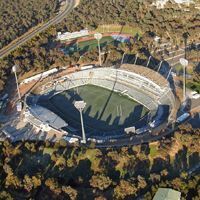 After much too long break we return to Australia and bring you presentations of four more stadiums. And since football and fan culture are blooming there, we’re sure to check Australia more often now! 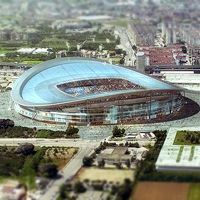 The European Comission is investigating whether the new San Mames stadium wasn’t built with illegal public support. Should that be confirmed, the beneficiary may be forced to return the received funds. Report by The Independent. 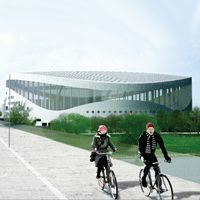 Somewhat unexpected decision came from the Chorzów city council vote today, putting the planned new stadium for 14-time Polish champions back on the shelf. 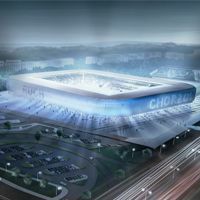 Ruch Chorzów will instead move to the 55,000-capacity Stadion Śląski, becoming its anchor tenant. Their numbers in our database are 499 and 500, which means we reached a really nice jubilee, having more designs than any stadium-dedicated website! 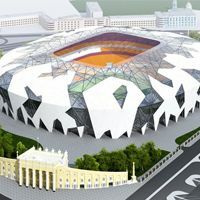 But these two deserve your attention for more than just that reason, these are most probably two final designs of 2018 World Cup venues. Yesterday the Miami-Dade county commissioners unanimously approved the plans for David Beckham’s new football stadium in downtown Miami. 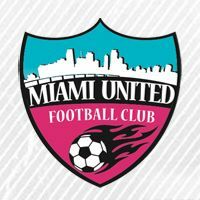 Solving the stadium issue is key for a Miami-based football club to join MLS. 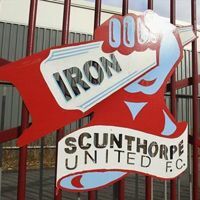 During yesterday’s annual general meeting the chairman of Scunthorpe United revealed his club is planning a new stadium for 12,000-18,000 people. 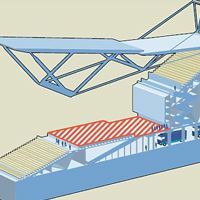 If possible, the structure would include a terrace area with safe standing facilities. 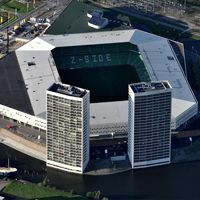 Yesterday the installation of 531 solar batteries atop the Euroborg stadium began. Their launch is set for January and all of the batteries are owned by local citizens. A nuzakelijk.nl report. Three specialists representing various interests are to analyse all available options and find the best long-term solution for Feyenoord. First findings should be known in January and in April the results are to be presented to the city. 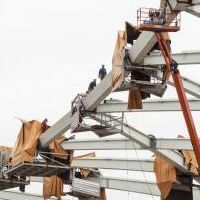 After Saturday’s deadly fall from the stadium’s roof, labour court decided to ban all work in heights until general contractor guarantees that all workers follow safety instructions. 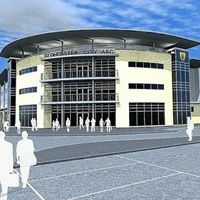 It’s not clear whether this will impact delays in delivering the arena. 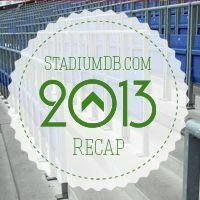 15.12.2013 Hungary: A stadium revolution in the making? 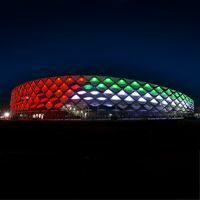 Along with the football federation of Hungary, Wiktor Obran’s government approved a resolution that envisaged 27 stadiums of two top leagues being thoroughly renovated by 2016! 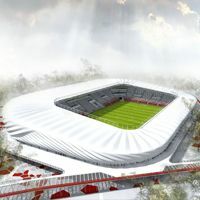 After Budapest and Debrecen already two new stadium projects are planned for launch. 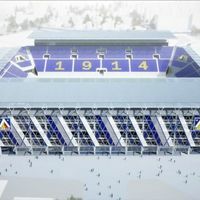 Very bad news from Bulgaria as the country’s first private stadium comes to a stop at an early stage. 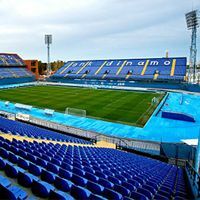 Levski Sofia announced they have no resources to support the construction and it has to stop. Yellow, orange and red, over 70,000 in total – all these seats will be transferred to Russian supporters union VOB and then given out for free to any fan who wants a piece of the cult stadium in Moscow. 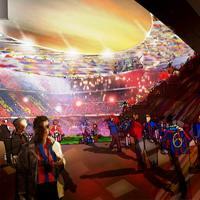 13.12.2013 Barcelona: New stadium’s required land not for sale? 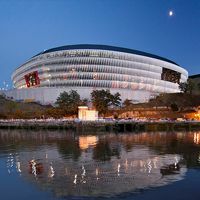 Despite Monday’s announcement that FC Barcelona contemplates moving to a new stadium nearby, it seems that option hasn’t been on the table so far. University of Barcelona who own the land for potential development aren’t selling it and weren’t even approached by the club. They’ve been preparing for the last half a year and now three bidders put their offers on the table. Final design, contractor and price should be known in mid-2014, but authorities say there are some key players applying. 13.12.2013 England: Gloucester to go ahead with new stadium? 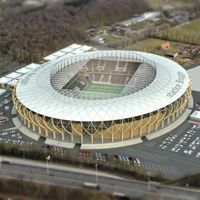 The plans to rebuild its stadium is moving forward after the Environment Agency confirmed a flood risk assessment will go ahead, according to the BBC. 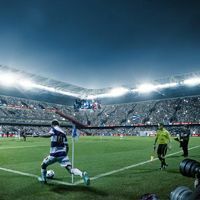 Queens Park Rangers presented the very first renderings of their future home. The club hope to build it with the same company and in the same way that Arsenal switched grounds a few years back. 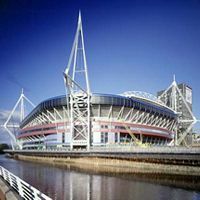 First minister and football association chief of Wales both suggested the country will apply for the 2026 World Cup. But despite their claims they have only one stadium to offer at this point and their most preferred joint bidders, England, don’t seem to need a partner. Within just three days three construction tenders are to be launched in January. New stadium in Izmir on Jan 28, another one for Izmir on 29 and new stadium for Diyarbakir on January 30. 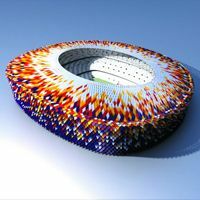 The plan for every major city to have new stadiums is progressing impressively! 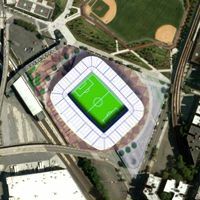 The soon-to-be MLS franchise New York City FC, owned primarily by Manchester City, is said to be very close to seal a land deal for their new stadium. The $400-million project is expected to grow aside the large Yankee Stadium in Bronx. You may have heard about two clubs building/using one stadium as a compromise. But have you seen a plan in which two clubs want to build two separate stadiums next to each-other and still do it together? 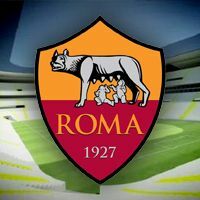 Yesterday saw representatives of AS Roma meet with the mayor and councilors of Rome to discuss the new stadium. Detailed concept was unveiled, but again nothing leaked out and fans may still only imagine the future 52,000-seater. 10.12.2013 Barcelona: 105,000 capacity, but where? Yesterday’s board of directors meeting was thought to deliver a final answer whether FC Barcelona should revamp their existing stadium or build a new one. Instead we only know the desired capacity, while location will be approved in early January. 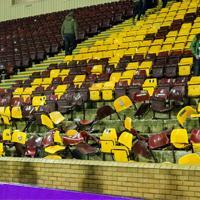 On Friday hooligans associating themselves with the Green Brigade destroyed over 100 seats at Fir Park. Since yesterday not only them, but all organised support is not welcome at Celtic Park or during Celtic’s away trips. It's simple, but elegant and well thought-through. Though some architecture offices never came up with designs that good, this one was done by a student. 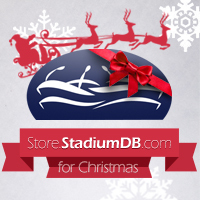 Which makes it the more pleasurable to publish it at StadiumDB.com. Plans for financing were secured back in 2011, but they're gone now. 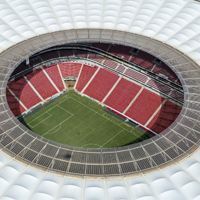 The impressive stadium for 23,500 people will not be built, because authorities demanded playing all night games under closed roof to avoid light pollution. 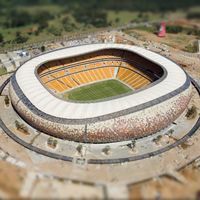 FNB Stadium may be Africa's largest, but it's not big enough. Nelson Mandela's memorial service will be broadcast live at three other venues to avoid safety concerns at the main ground. Their stadiums are outdated and rarely have seats. 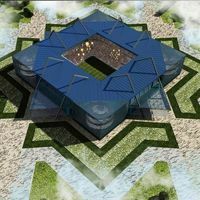 But the passion of Moroccan supporters makes us obliged to improve the part of StadiumDB.com dedicated to Morocco. First the stadiums you see today, more to come! It's been the subject of ongoing disputes for a couple of years already, but now Daily Mail show another issue to complain about. 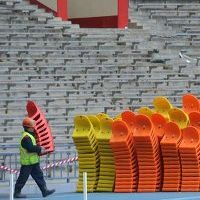 Retractable seats at the 'football-mode' Olympic Stadium will hardly be as great as showed by West Ham United. 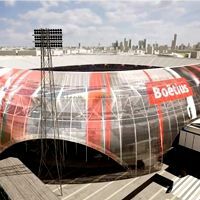 08.12.2013 Rotterdam: De Kuip to be expanded after all? It seems that despite initial hostility campaigners opting to retain the existing stadium may be taken seriously. 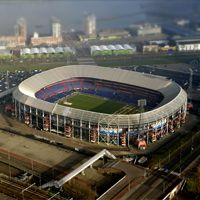 Stadion Feijenoord commissioner Carlo de Swart urges the club to treat the Red De Kuip campaign “damn seriously”. Christmas is the time for dreams to come true and we're making ours a reality right now. We're opening an independent shop with stadium models, something we've been thinking of for years. Care to take a look? 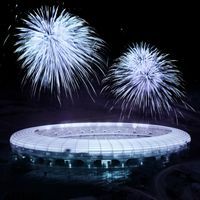 It's a record-breaking delay, but circumstances are equally disturbing and FIFA assures there are no plans of relocating the opening game to another city. 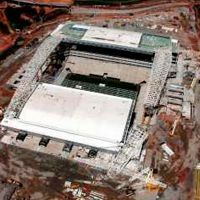 Arena Corinthians will be ready no sooner than April 14 or 15, just 59 days before the World Cup. 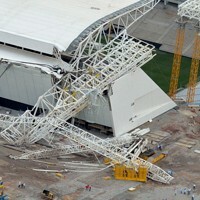 Club offices and player infrastructure should be opened earlier than the entire stadium. That said, work on the stadium itself is also going forward very well and we should see stands go up this month. 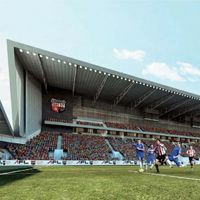 Despite concerns raised across the community, Brentford FC's new stadium is now approved by the local council planners. 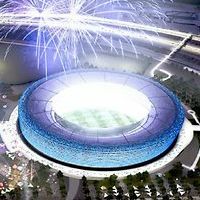 One of England's most original stadiums should be built as predicted, in mid-2016. 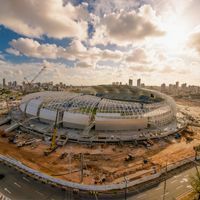 Brazilian sports minister admitted that not three, but all six stadiums still under construction will miss the December-2013 deadline set by FIFA. Though alarming, it doesn't mean trouble for the hosts just yet. 05.12.2013 USA: Ultimate Christmas gift? 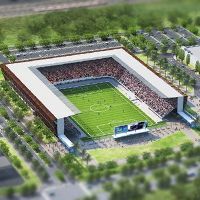 How about a private stadium? 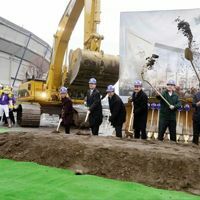 Another NFL giant gets under way as groundbreaking ceremony took place in Minneapolis yesterday. In 31 months from now one of the most monumental stadiums, though arguably attractive, will be opened. 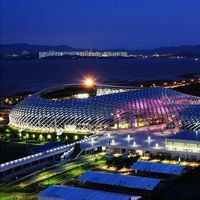 With photos being barely available we are only now able to give you the opening and closing ceremony venue of 2011 Shenzhen Universiade. Amazing complex that cost equally amazing $2.3 billion is here! 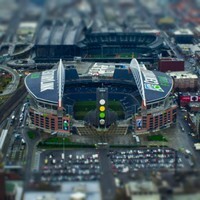 After it was beaten in October, yesterday the record for peak noise inside a stadium returned to Seattle. Seahawks fans managed to reach 137.6 decibels. This club is a great example that football isn't just about business. 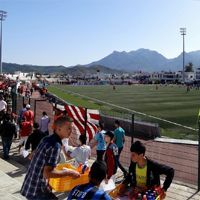 Reborn thanks to supporters it went up five leagues and needs a larger stadium. 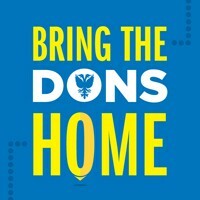 As there's a chance to take over their historical home, AFC Wimbledon campaign for support. After five years of continuous efforts it's finally moving forward and official groundbreaking should take place in February. Now preparatory work is to be carried out at what will become the most expensive stadium in Paris, at least for now. 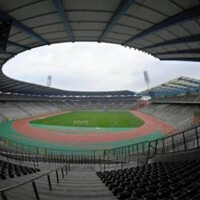 02.12.2013 Brussels: King Baudouin Stadium to be demolished in 2020? In 2020 the very last Van Damme Memorial athletic tournament is to be held at the Heysel stadium in Brussels. Later athletes will have to move as a football-specific stadium will take over. 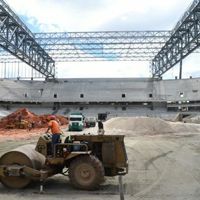 Though part of the site is still off-limits, most workers are returning to deliver Arena Corinthians as soon as possible. The construction site has been shut down for five days following Wednesday's tragedy. 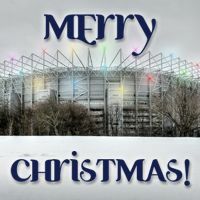 As announced earlier, the club waited until December to file the documents. 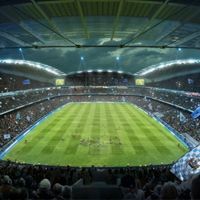 Now The Citizens hope to begin remodelling of Etihad Stadium in February 2014. 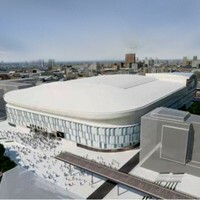 Check out new renderings and more info on future possibilities.